Dairy free, sugar free, gluten free, nothing processed or artificial, cookie recipe. This cookie has been a year in the making. After suffering a severe illness from toxic mold exposure almost 4 years ago I was placed on a VERY strict diet to help re-balance and strengthen my immune system. My diet is no sugar, no meat, no dairy, low glycemic fruit only, nothing processed, and no gluten. After 2 years of eating this way I was really craving a cookie, something ANYTHING that was crunchy and tasty, but I was severely limited in the ingredients available to me and I had very little baking knowledge. My first batch of "cookies" was pretty awful, it consisted of oatmeal (not made into flour), almond butter, and water, all mixed up, made into flat cookie-like pieces and baked in the oven. They were pretty tasteless but I was so excited to be eating something crunchy I kept making them. My second round of cookies was the same but instead of water I started using flavored tea, and my third round of experimentation I started using beets (this was before I was allowed to have fruit). This went on for a year, trying many different variations, different ingredients, etc. until I FINALLY ended up with something that was actually palatable and dare I even say tasty (at least to me!) which is the recipe that exists today. 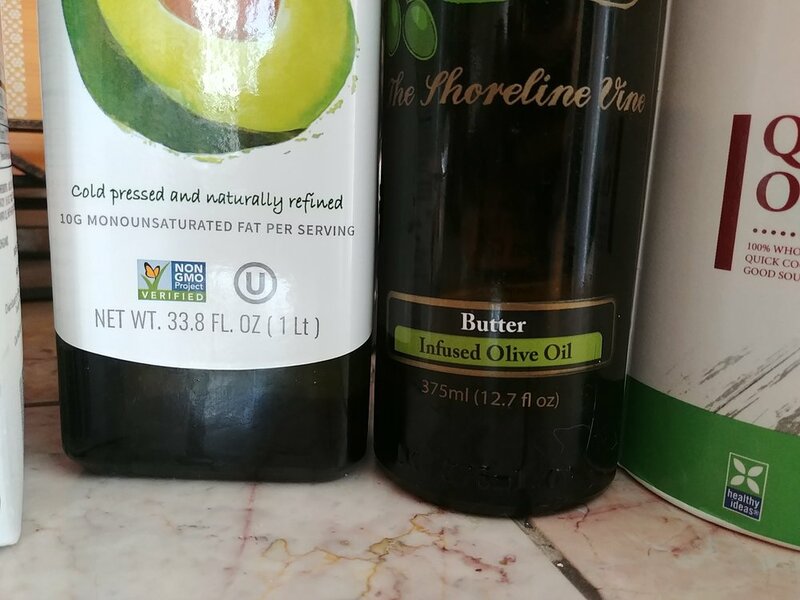 If you are someone that has food allergies or if you're just trying to eat healthy these might be just right for you too. Enjoy! Preheat oven to 375 degrees. 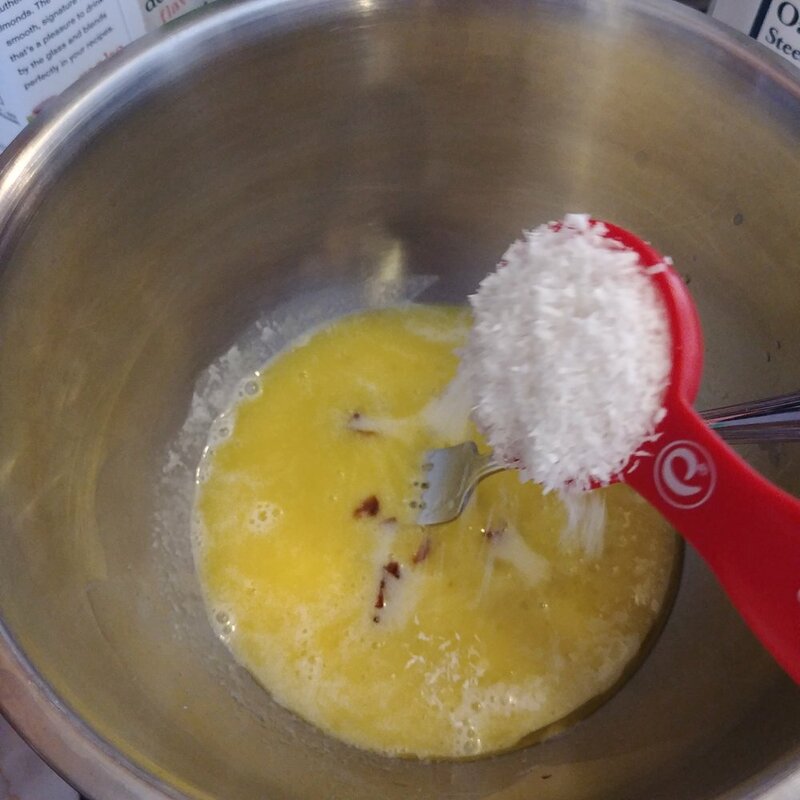 In a large mixing bowl add egg and oil, with a whisk or fork mix until it's the consistency of a scrambled egg. Add almond milk, coconut and dried apricots. Mix well and put aside for now. 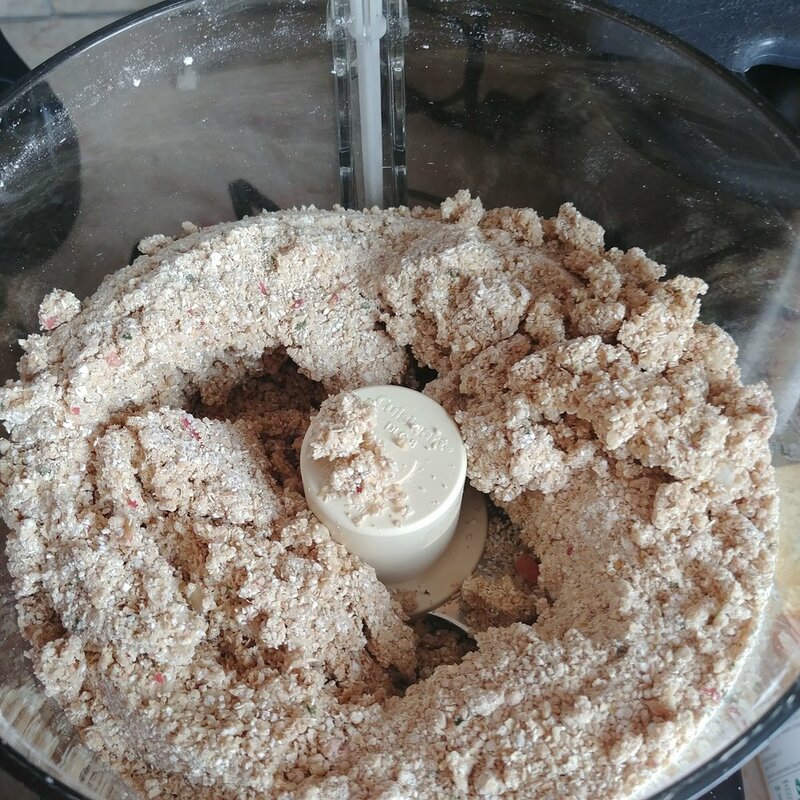 In a food processor add oats, salt, cinnamon, ginger, baking powder, and blend for about 30 seconds to a minute until you have a flour consistency. Add mint leaves and process for about 10 seconds, then shut off food processor. On cutting board cut apple (remove and discard core and seeds) into medium pieces and add them to the food processor. Quickly pulse apples about 15 times before hitting the stay-on button to process for an additional 15-20 seconds or until you no longer see large apple pieces (very small pieces are okay). Switch back and forth from the pulse and stay-on feature as much as necessary so that you have an even consistency (see photos at bottom of page). Add oat flour mix to your mixing bowl you put aside earlier (containing your egg and oil mixture). With a fork, stir mixture until liquid is fully blended with dry mix (should you wish to add nuts this is the step where you would add them, add to taste). Put aside and let sit 10 minutes, going back and mixing again when you have about 5 minutes left on your timer. (this step is important, at this point the dough is too wet to be handled, you need to allow the oats to absorb the liquid). Line two cookie sheets with tin foil or parchment paper, do not oil or grease. Using your hands make dough balls using about a tablespoon and a half of dough per cookie, or the size of a medium sized meatball. Place dough balls at approximate location on cookie sheet. Once all the dough has been placed on the sheet go back to your original tray and start hand flattening each ball into a cookie shape. Because of the nature of the ingredients of this cookie they will not settle into cookie shape on their own. Since they will not spread out you do not need to worry about leaving too much space in between each cookie. 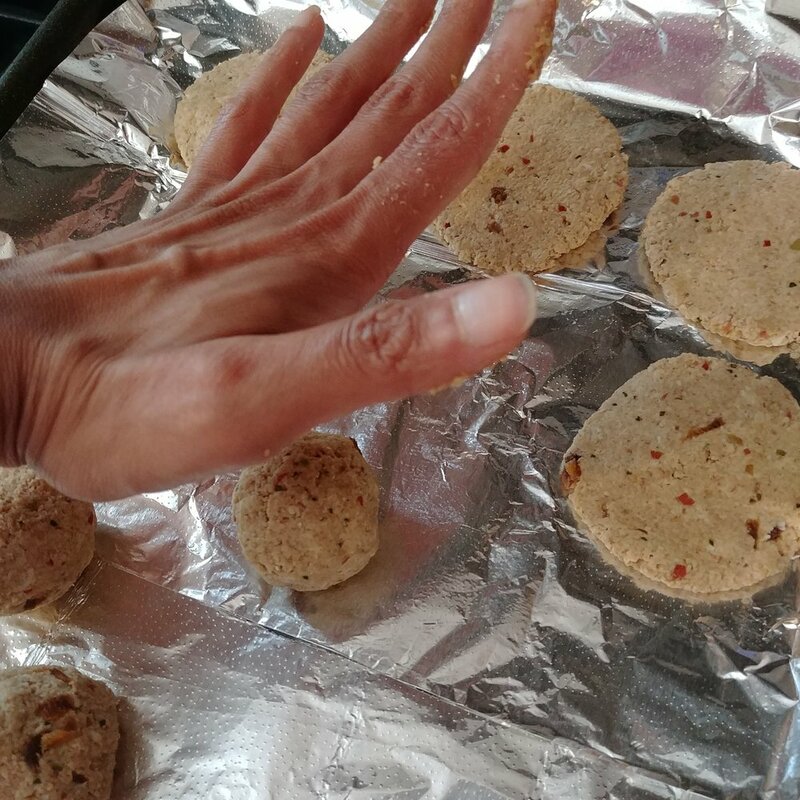 Place cookies on center racks either staggered or side-by-side if they fit, and cook for 30 minutes or until edges are slightly brown. Remove from oven and cool. Enjoy! !